Purple Heart Homes is a non-profit that was founded in 2008 by John Gallina and Dale Beatty, two combat wounded Veterans. After being injured in Iraq in 2004, they returned to their community and received a warm welcome and grateful appreciation for their service. They began to question why all vets didn’t get the same levels of support and assistance from society. 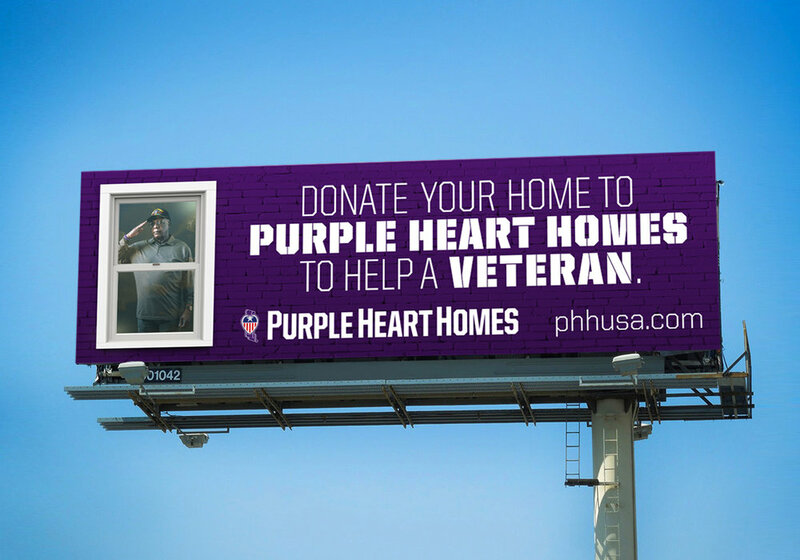 Purple Heart Homes is dedicated to providing housing for Service Connected Disabled Veterans that is substantial in function, design, and quality fit to welcome home the fighting men and women of America. It has been an absolute honor and privilege to work with PHH and help spread their message. If you'd like to learn more about them or donate, visit here. 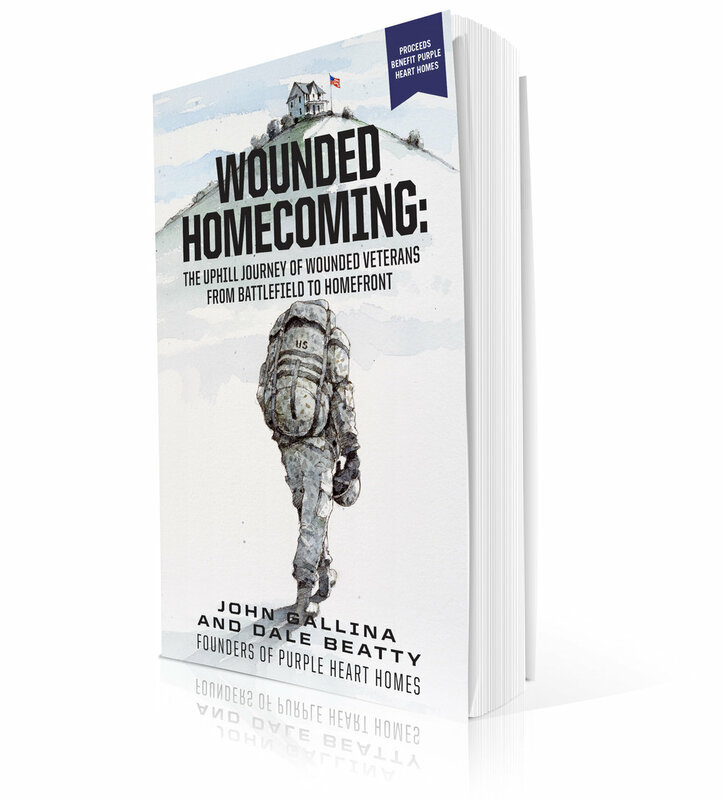 John and Dale decided to write a book documenting their story from war buddies in Iraq to co-founders of their incredible non-profit Purple Heart Homes. While they had the inside figured out, they came to me for some help with the cover concept and design. Here's my sketch that we sent to the talented illustrator, Gary Palmer and his final watercolor illustration. To help spread their mission, we created these billboards. We brought in real veterans helped by Purple Heart Homes to photograph.